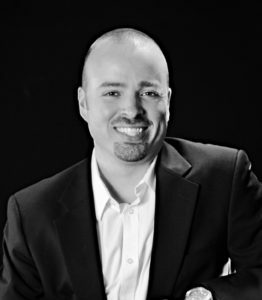 Eric founded Dobler College Consulting in October 2011 after spending twelve years working with college-bound high school students and their families as a college admissions counselor and academic advisor. When he was in high school, Eric never had a plan. He never thought about the college process as a dedicated search. He never prepared for the SAT, let alone stressed out about it, and didn't tour either school he applied to until he was up against the May 1st confirmation deadline. It wasn't until he was in college when he started to realize his potential that he started to put it all together. And as much as Eric enjoyed his college experience, he knows he missed out on a lot simply because he had no one to help him figure it all out. Because of the path Eric’s life took, he believes it is important for students to seek out colleges where they will excel academically and socially without having to spend excessive amounts of money to do it. Eric regularly attends professional conferences and tours numerous college campuses every year. He holds a Bachelor of Arts in English from Eastern Connecticut State University and a Master of Science in Counselor Education with a concentration in Student Development in Higher Education from Central Connecticut State University. He is a member of HECA and a professional member of IECA. Eric can often be found on the beach lost in a book, is a self-proclaimed master chef (in-training) and loves to ski. Eric currently resides in Cheshire, Connecticut with his wife, Amanda, their two boys, Brady and Kasen, their dog, Baxter, and their cat, Carlie. Lynne brings seven years of college advising experience from her former practice, Muse College Consulting. After a career in office administration, she decided to pursue her passion for helping young people realize their potential through higher education. Having taken a circuitous route to earning her own college degree, she is committed to helping students achieve their post-secondary goals through informed guidance and counseling. While successfully guiding her two daughters (now 25 and 27) through the college admissions process, she experienced first-hand what an overwhelming task it can be for both students and their parents, and works closely with families to make the transition as stress-free as possible. A long-time advocate of literacy, arts integration, higher education and college access, Lynne has volunteered extensively in the public schools and regularly offers college counseling workshops at her local library. In addition to her work as an independent college advisor, she is the college counselor for the Legacy Foundation of Hartford, a non-profit college access organization serving Hartford area youth. 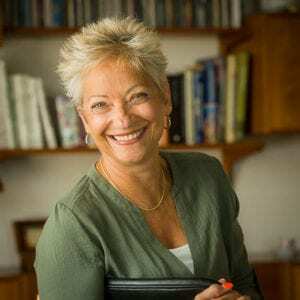 Lynne regularly attends professional conferences and tours numerous college campuses every year. She holds a Certificate in College Counseling, with Distinction, from the University of California-Los Angeles and a Bachelor of Arts in Music History & Theory from Hunter College of the City University of New York. Lynne has professional affiliations with NACAC and its regional affiliate NEACAC, HECA, and is an associate member of IECA. She also serves on the Simsbury Connecticut Chamber of Commerce Education Committee. Lynne loves to travel, is a medieval history nerd and an arts devotee. She lives in Simsbury, Connecticut with her husband, Bernard, and her cat, Marcel. She has lived in two foreign countries and speaks fluent French.